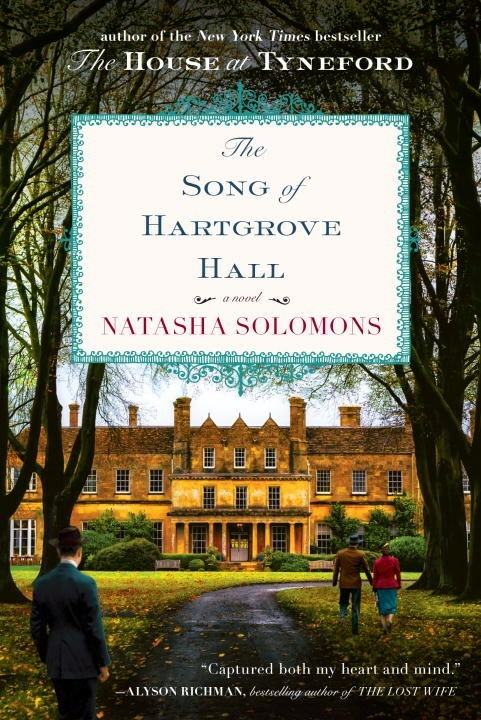 The Song of Hartgrove Hall, written by Natasha Solomons, begins in post-WWII Britain in the 1940’s. The story alternates between 1940s – 1960s Britain and present day, with the same family, the Fox-Talbots, inhabiting Hartgrove Hall. Hartgrove Hall itself has such a pivotal role in this story; the once stately, then crumbling, then restored once more, colonial mansion is a character itself. The Fox-Talbot brothers, Jack, George, and Harry (known as Fox), have all returned home to Hartgrove Hall after Jack & George fought in the war and Harry was away at college. The only people awaiting them at Hartgrove Hall are their father, the General, his butler and various maids on staff. Their mother passed away when young Fox was only a toddler, leaving the three boys in care of their stern, military minded father. The mansion itself is crumbling, after being used by soldiers as a home base during the war. The home Fox has always loved is falling apart, and he can hardly bear it. The brothers decide to try to save their home, begging the General not to sell, hoping they can make ends meat. Unlike his brothers, Fox has always held a special love for music and his favorite past time is to collect songs, mostly folk songs passed down through the generations in his home country of Britain. He dreams of being a composer, though his brothers and father find it laughable that one of their own be more interested in music than farming or military pursuits. To celebrate the coming home of the brothers and the end of the war, they throw a New Year’s Eve party at Hartgrove. The eldest brother, Jack, who is loved and treated much like a movie star by anyone he meets, especially ladies, has brought a young Jewish wartime singer named Edie Rose to the party. Everyone is quite taken with the famous, beautiful, young, and talented singer. The problem is, Jack isn’t the only brother who is cast under Edie’s love spell. Young Harry (Fox) is quite taken with Edie, an infatuation which grows into love as they spend time together collecting songs, discussing music, and even performing together over the years. When bonds between brothers come up against bonds of love, herein lies the making of a great romantic love triangle, and this story will not disappoint in that regard. In present day, fifty years later, Jack is an old man who has lost his wife, Edie, along with his ability or passion for playing the piano. Just when grief and guilt threaten to take him under, his daughter drops off his 5 year old grandson for a few hours out of the blue for Jack to mind. Trying to redirect the young, energetic boy from total destruction of his home, Jack plays a few notes on the piano, and young Robin is enthralled. As it turns out, Robin is quite the piano prodigy, a fact that Jack can hardly believe, but ultimately gives him hope for the future, urging him to live out the rest of his life the best way he can. Is it too late for Jack to seek forgiveness after such a long life together with the one he loved? Fans of music, historical fiction, family drama, and romance will surely enjoy this novel. It’s a beautiful portrait of a family and how they dealt with the many hardships which life brought them. Readers interested in knowing more about the art of song collecting will find a most helpful notes section about contemporary song collecting and links for more information on the topic at the end of the book.